Please use the clothing order form (provided via email) to submit your order. E-transfer is recommended, but cheques payable to Gee-Gee's Equestrian or exact change are also accepted. Please send clothing order forms to president@uottawaequestrian.com. Perfect for carrying all your horse show necessities! This medium sized duffel bag has a moveable shoulder pad on an adjustable strap, two roomy end pockets and a large middle zippered section. Embroidered with our team logo. This 1/4 Zip will keep you dry during cold winter lessons.Hidden cuff with thumbholes for adjustability and comfort also provides an extra layer under gloves. CLIMALITE Soft, lightweight fabric for superior moisture management. Embroidered with our team logo. The versatile Dade's got a classic look that never goes out of style. It has a breathable fabric, UV protection, a wicking finish, and much more. Available in maroon or grey! Embroidered with logo. 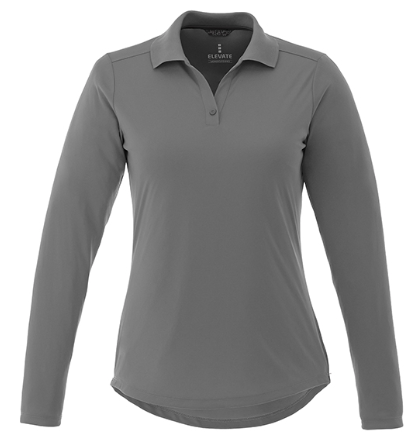 The versatile Mori polo is a classic LS look that offers comfort and performance. Available in grey or maroon! Embroidered with team logo. This 100% polyester jersey knit jacket has a brushed back detail and is equipped with mesh pocket bags makes a great addition to your team wardrobe. It is offered in grey and embroidered with the team logo. The hoodie features self fabric sleeve cuffs and hem, contrast colour self fabric lined hood, drawstring with metal tip, front pouch pocket, and front underarm with metal grommets. Gee-gees logo in big at the front with "Equestrian" embroidered under. Comes in grey. The Kariba Knit Jacket is the perfect piece for today's active lifestyle. It's retail-inspired, modern styling make it a strong go-to piece. It's useful sporty features include sleeve cuffs with thumb exits, interior media port with cord guide, articulated elbows and ergonomic sleeves. Wear it to class, to the gym, at the barn or anywhere in between. 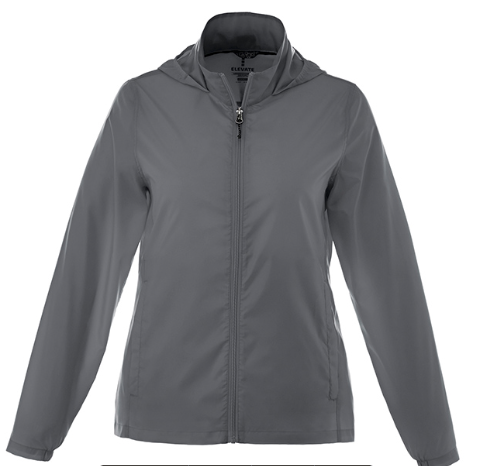 This piece will keep you dry and comfortable all day long. Offered in grey and embroidered with team logo. 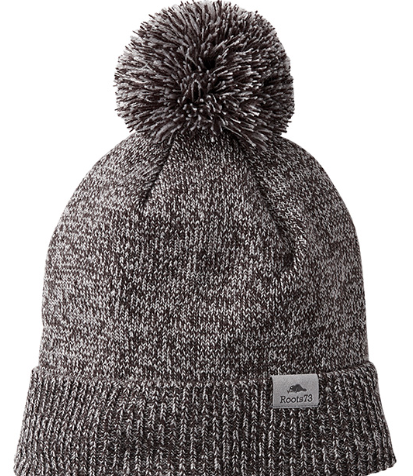 Perfect for cold weather, the Roots73 Shelty Knit Toque is the modern hat for all. This versatile toque has a cozy knit design and features a pom pom. Comes in grey and embroidered with logo. The cooling and breathable technology of Webtech in the Parima Long Sleeve Tech Tee will let you beat the heat during all your outdoor activities. Comes in grey and printed logo. The Omi Short Sleeve Tech Tee is a classic crew neck that is designed for virtually any outdoor activity. The fabric is snag resistant, wicks away moisture, offers considerable UV protection; all for an affordable price. Available in grey and Burgundy. The Darien's unique design allows you to pack it into the lower-left pocket, making it easy to stow away in a backpack or glove compartment when you don't need it. But you'll really appreciate it when the weather takes a turn for the worse, with its water and wind resistant construction and roll-away hood. Available in Burgundy or grey! Embroidered. With a sleek silhouette, this ultra-lightweight thermal polyfill vest is perfect for winter lessons. This vest has a high-density water repellent outer shell to provide optimal thermal protection when you need it most! This v-neck sweater looks sharp worn over your show shirt at horse shows or simply over a polo for practice. The perfect extra layer to keep you warm and looking classy. The v-neck sweater is a team favourite! Embroidered with our logo. The Riverside Fleece Full Zip Hoody has a jersey knit hooded lining and media pocket. This hoody will keep you cozy in the outdoor breeze. The Edenvale knit jacket, made of cotton, polyester and spandex, is great for walking around campus or even as an under layer when riding at the barn. 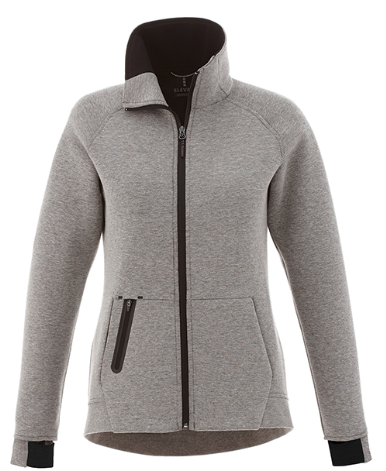 The Killarney fleece quarter zip is unisex fit and is definitely a team favorite! Its convertible collar, rib sleeve cuffs and rib knit body hem makes for a flattering fit. Stay comfortable indoors our outside with the Killarney fleece quarter zip. These adorable maroon bows come complete with a sparkle Gee Gee and your personalized monogram! When ordering, please give your initials first-last-middle on the order form beside the item name. Sport our Gee-Gees logo (it actually faces the right way, picture is wrong) with "UOTTAWAEQ" under it on these cute knee-high socks. Breathable material, yet still warm enough for the cold Canadian winter! Bundle up in style with this uOttawa Eq Scarf. This scarf will keep your neck warm standing around at shows when your hair is up in your helmet! This cute basecall cap features the Gee-Gees logo on one side, "uOttawa" embroidered on the brim and "Equestrian" embroidered towards the back.